We are an internationally-recognized, award-winning manufacturer of a wide range of architectural and design products that appear in landmark projects worldwide. 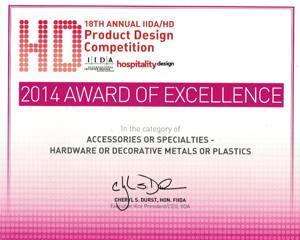 PIXA Screen wins the Merit Award in the Product Innovations program. 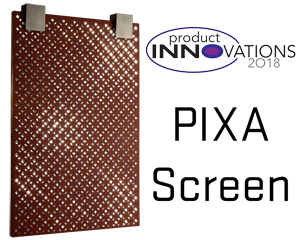 Learn more about PIXA Screen and it’s versatility here. 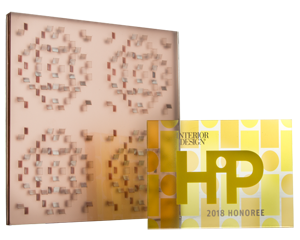 Sensitile’s latest interactive material Ripple Motif was recognized this year as an Honoree in the HiP Awards. You can learn more about this exciting new product here. 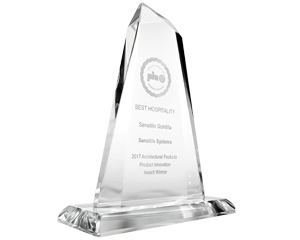 Sensitile’s interactive material Scintilla won the 2017 PIA award for Hospitality material. You can learn more about Scintilla and it’s various uses here. 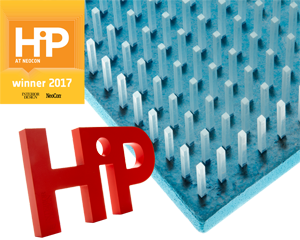 PIXA Dimensional won the 2017 HiP award at Neocon. Learn more about this versatile concrete material here. 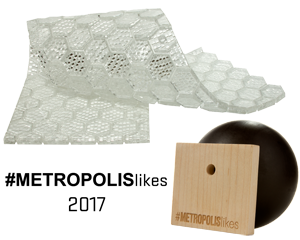 The adjustable, fabric-like resin Flex material can be specified using a variety of Sensitile patterns in order to accommodate curved surfaces and/or to create any free form shape. 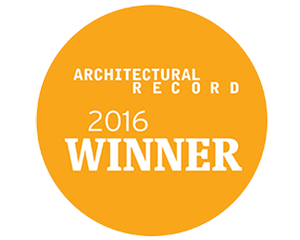 Sensitile’s slender, back-lit Celeste panels were awarded as the 2016 Architectural Record Products Winner. Learn more about Celeste and it’s infinite depth here. 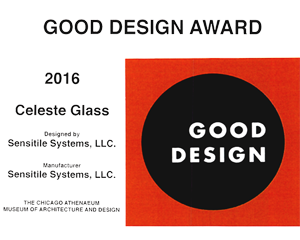 Sensitile’s back-lit Celeste product was recognized with a Good Design Award as a glass product. 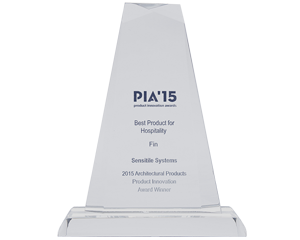 Sensitile won the Product Innovation Award from Architectural Products Magazine for their innovative, back-lit Celeste material. Learn more about Celeste here. 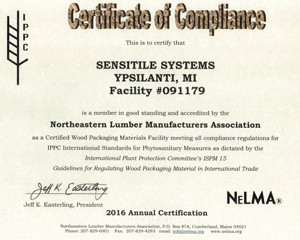 As a Certified Wood Packaging Materials Facility, Sensitile has met all compliance regulations for IPPC International Standards for Phytosanitary Measures. 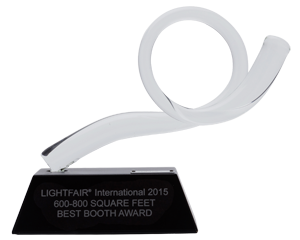 Sensitile earned a Best Booth Award (600 to 800 square feet) at Lightfair International 2015, held in New York City. 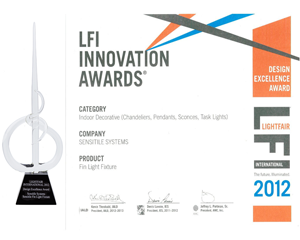 Sensitile’s FIN Light Fixture snared Best Product for Hospitality honors from Architectural Products magazine for their 2015 Product Innovation Awards issue. 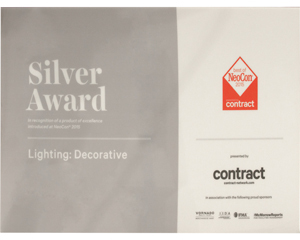 Sensitile wins the Silver Award for Decorative Lighting at Neocon. 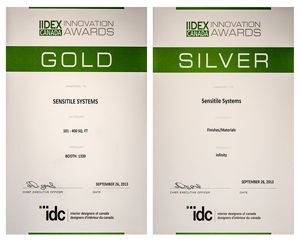 Sensitile Systems won a Gold award in Booth Design and a Silver award in the Finishes/Materials category in recognition of product innovation for their infinity panels at the 2013 IIDEX trade show in Toronto, Ontario, Canada. Learn more about infinity here. 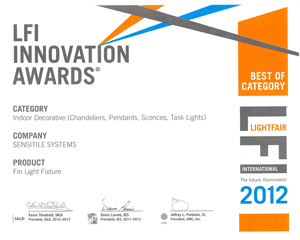 In the category of “Indoor Decorative”, Sensitile’s FIN Light Fixture won Best of Category during the 2012 Lightfair International Innovation Awards. 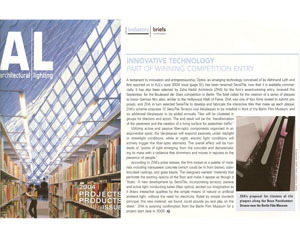 Sensitile’s FIN light fixture garnered another Lightfair International honor in 2012. 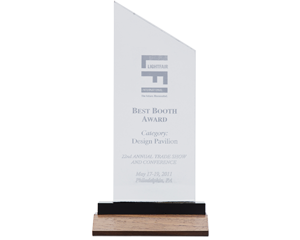 At its 2011 event, Lightfair International organizers gave Sensitile their Best Booth Award in the Design Pavilion category. 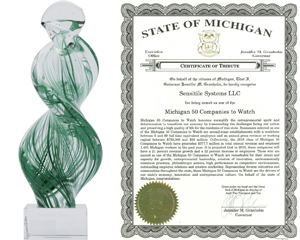 In 2010, Sensitile was honored with a certificate from the State of Michigan recognizing them as one of 50 companies to watch. Sensitile was given the Award of Excellence-Best of Competition for their unique and innovative product Jali in the 2009 IIDA/Hospitality Design Magazine Product Design Competition. 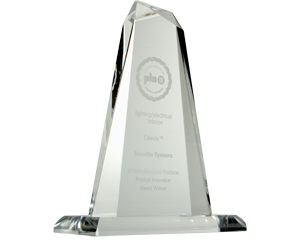 Learn more about this light refracting resin material here. 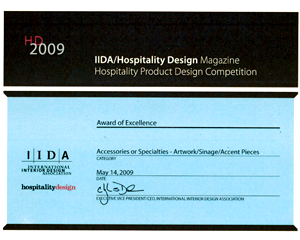 Sensitile earned an Award of Excellence in the category of Accessories or Specialties – Artwork/Signage/Accent Pieces from IIDA/Hospitality Magazine in the 2009 Product Design Competition. 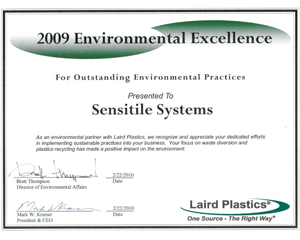 In recognition of their sustainable business practices — specifically, Sensitile’s efforts at waste diversion and plastics recycling — Laird Plastics honored Sensitile with its 2009 Environmental Excellence Award. 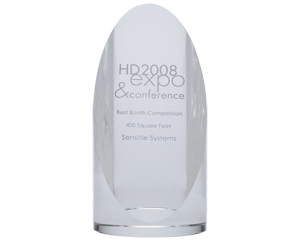 Sensitile achieved the Best Booth Award during the 2008 HD Expo & Conference. 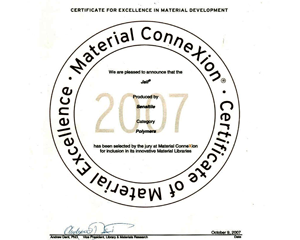 Sensitile was awarded a Certificate of Material Excellence in Polymers from Material Connexion. 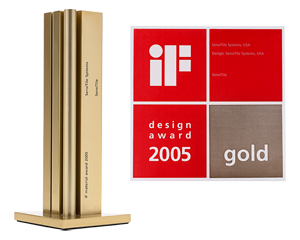 The iF Design Award is one of the world’s most prestigious. 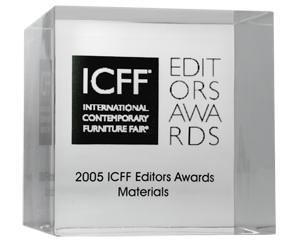 Sensitile achieved this lofty recognition in 2005, when the International Forum Design GmbH organizers recognized them for their inventive use of material. 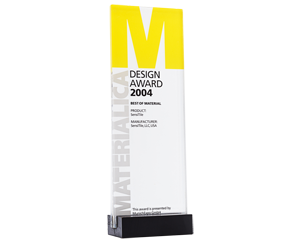 Even in 2004 — the year Abhi Lath founded the company — Sensitile began to earn the attention of the design community, including the international trade fair Materialica, which bestowed on them its Design Award in the Best of Material category. In 2004, Sensitile was mentioned in Architectural Lighting magazine for being selected by Zaha Hadid Architects for their winning entry Sensitile Terrazzo in the Boulevard der Stars competition.